As you can see, I’m swimming in zucchini. For my family of 4, this is more than enough! I’ve cooked some of my favorite recipes: Zucchini and Cornbread, Ratatouille, and of course, Zucchini bread. 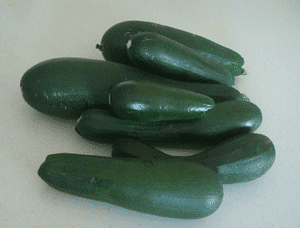 Does anyone have other delicious recipes to enjoy zucchini fresh from the garden? Hi Emily – was just googling vermiculite to make hypertufa garden ornaments, when I found your blog – and have been “stuck” here for the past hour! Some great info and easy navigation! I have a newly-built 5×7 raised bed, so this discovery is really timely. I live in Mauritius (tiny island in the Indian Ocean), so it’ll be interesting to see how your guidelines adapt to our tropical conditions – we only have summers (hot and humid) and winters (a wetter and cooler version of summer!). Parboil the pistachios for 2 minutes, then rub in a tea towel to remove skins. Process pistachios, pine nuts and garlic to a fine paste. Add the basil and process till pureed. With the processor running, add the olive oil in a thin stream to a mayonnaise consistency. Add salt to taste and set aside. Saute the zucchini in butter for 4-5 mins or till crisp and tender. Add pesto and toss to heat through. Serve immediately. The pesto can be frozen. take zucchini and yellow squash and slice them thin. Pile them on a piece of aluminum foil sprayed with pam. Add some sliced yellow onion on top and some Italian dressing to cover them all. Close the foil tight and bake at 350 for 30 minutes. Learned this one from my mother in law when my plants produce to much. I absolutely love my grandmother’s recipe. Slice zucchini thin. Spray Pam on a glass pan. Line with zucchini, then parmesan, then zucchini, etc… until you fill the pan. Top with one more layer of parmesan and diced bacon (I used pre-cooked). Bake at 350 deg for 30-45 minutes. Let it sit 5 or 10 minutes before serving. You can grate raw zucchini and use it in place of or in addition to the grated cabbage in cole slaw. Check out this recipe. I haven’t tried it yet, but sounds great for the kids. Zucchini Cobbler “Taste just like Apples”. I was amazed THIS IS REALLY GOOD! Combine chopped zucchini & lemon juice in large pot & cook until tender, about 20 minutes. Add sugar, cinnamon, nutmeg & 1/2 Cup of topping mixture. Cook 1 minute. Mix together flour & sugar. Cut in butter with pastry cutter until well incorporated. Preheat oven to 375°. Grease 9 x 13 pan with cooking spray. Using ½ of remaining mixture, press into bottom of baking pan. Bake until brown & firm, about 10 minutes. Pour filling mixture on top of crust, spreading evenly. Place remaining topping mixture on top of filling, spreading evenly, & sprinkle lightly with cinnamon. Bake for 35 – 40 minutes, until filling bubbles & top browns. Note: My version of allrecipes.com recipe. http://mealmakeovermoms.com/recipes/mexican-tonight/beany-cheesy-zucchini-quesadillas/ This is a super yummy recipe for Beany Cheesy Quesadillas. My kids and husband love it too. I use black beans instead of cannellini beans. Amen to zucchini brownies! I like to add zuke slices to chili especially when I don’t have as much meat in there as I’d like. Just make sure to add it toward the end so it doesn’t cook too long and get mushy. My friend posted this yummy looking cookie recipe. I just dropped my sister-in-law off at BYU so I took a quick trip over to Shipp Hall. Oh, those were fun times. 🙂 I would have loved to visit you but I was only there for a day. Next time we will have to get together. We all have cute babies to show off! We Love this soup! 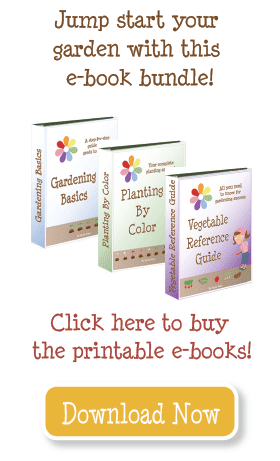 Plus it uses lots of your garden bounty! In large saucepan brown and sauté sausage, onion, and garlic. Add other ingredients and simmer uncovered for 30 minutes. Add rest of ingredients together and simmer convered another 30-45 minutes. Serve with fresh rolls or bread sticks. Top with cheese. Zucchini Brownies!! I’ve made these several times and no one thinks there’s any zucchini in them! I have several recipes pinned on pinterest, here is the link. I haven’t tried this one yet, but I’ve been wanting to. Once my 32 yellow zucchinis currently growing (yipes!) get big enough to pick. My favorite is Zucchini lasagna. Just slice them thin lengthwise and add then cook your lasagna recipe and use zucchini in place of the noodles. It’s great! Some liquid will cook out of the zucchini so you can have a “dry lasagna” to start with. We absolutely love this. Hi, We love zucchini. I have just recently made Ratatouille and loved it. Here is the link . I also have a yummy zucchini cheddar bake on the page. We just slice lengthwise, brush with a little olive oil and then throw them directly on the grill. Tasty! I’m sorry if you’ve already said so, but did you use the staking & leaf removal method that was in the video you had posted?